Our jails are a reflection of our national character and who we are as a society. 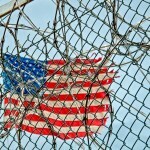 There is much to be critical about when it comes to the United States holding more than twenty (20) percent of the world’s incarcerated population – manifested out of President Richard Nixon’s war on drugs in 1971. Mandatory minimum sentences and strict drug laws have swelled our prison population, stripping our judiciary of any flexibility and discretion in doling out prison terms for non-violent offenders of the law. Context is everything in distributing justice in a balanced, fair, and neutral manner. Mandatory minimum sentences throw context out the window and leave our legal system rigid, inflexible and limp. Currently, American citizens spend roughly $80 billion per year housing their prison population. This is approximately $260 per person per year. Ten (10) percent of this figure is paid to private prisons. Private prisons have an incentive to fill beds. Mandatory minimum sentences insulate their funding. While ten (10) percent may seem a small amount, the private prison industry wields tremendous influence in lobbying the government, even in the area of immigration reform. Our legal system should be allowed a malleable approach to the law and its offenders. In overhauling our drug laws and lifting the bureaucratic mandatory minimum sentencing, we free up valuable resources for job training, education, and instilling in our culture a value of hard work and the fulfillment of dreams. We need not the continual drain on our human capital as we allow it to rot behind the bars of our prisons, sucking down our tax dollars and tarnishing these people with criminal histories that will prohibit future employment and positive growth. No. Our nation requires labor, ingenuity, principle and dedication to surface our debt and propel our global advantage in this century of American pride.